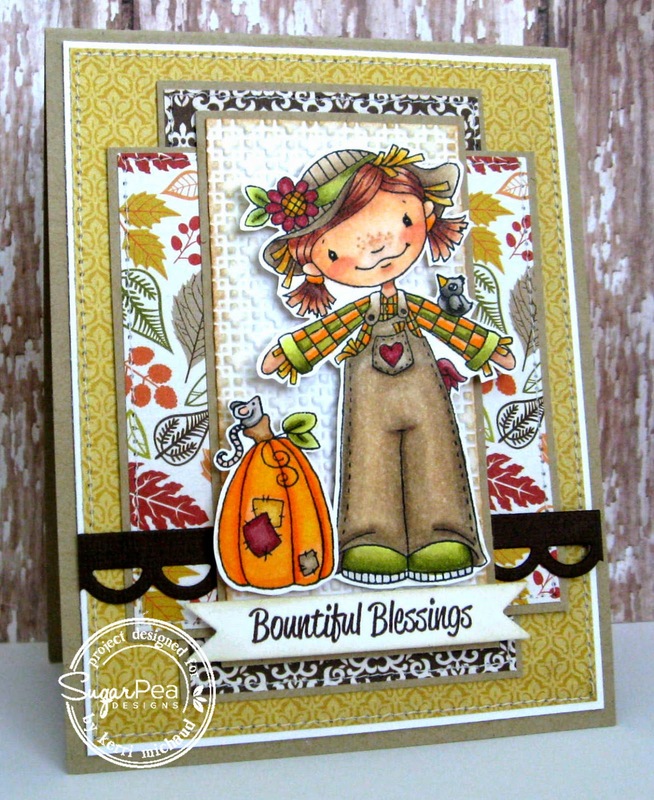 I had to use this DARLING scarecrow from the set Bountiful Blessings. 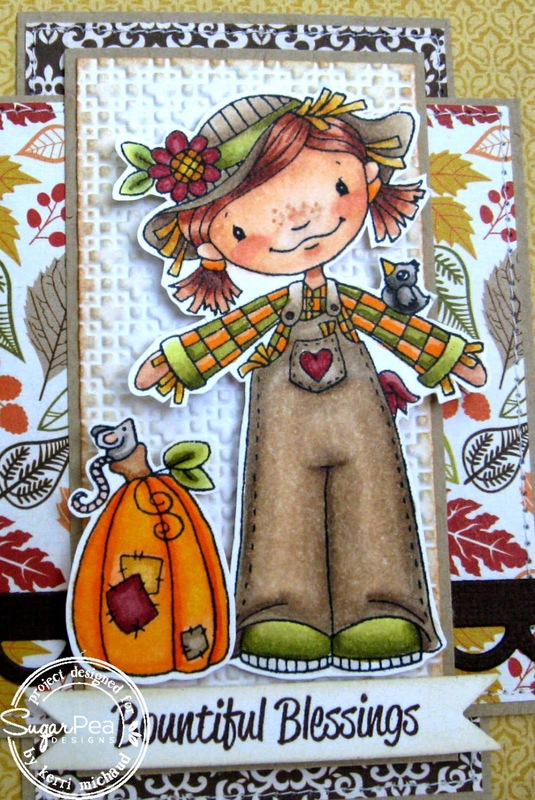 I stamped her and the cute pumpkin image with Memento Tuxedo Black and colored with Copics. I cut them both out and popped them up with foam tape. The dp is Carta Bella A Perfect Autumn and I used the Deconstructed Sketch #166 for my layout. 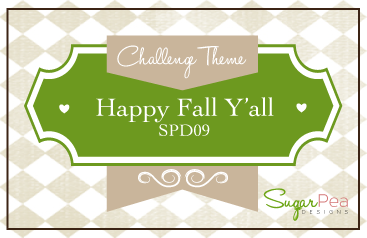 Check out the SugarPea Designs Blog to see how you can play along for your chance to win up to a $15 gift certificate! She is darling, love her freckles!